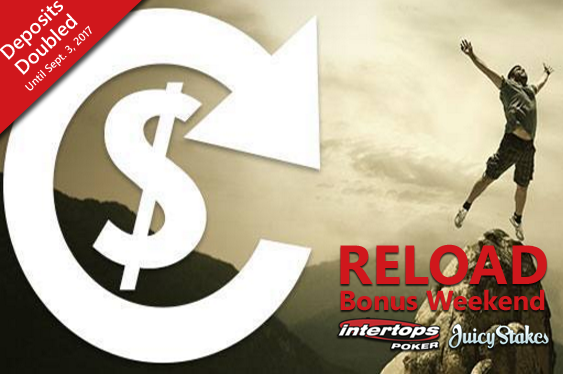 Players that have previously deposited with the Horizon Poker Network sites can receive this bonus until the end of Sunday simply by utilizing the coupon code ‘AUG17’ at Intertops Poker while Juicy Stakes aficionados are being asked to enter ‘2017AUG’. “The most popular online poker rooms on the Horizon Poker Network, Intertops Poker and Juicy Stakes welcome players from all over the world,” read a joint statement from the sites. “Each hosts Texas hold‘em and Omaha ring games of all stakes and levels as well as poker tournaments where players can win big prizes for just a small entry fee. This weekend will see online poker players offered the chance to double a deposit up to $100.